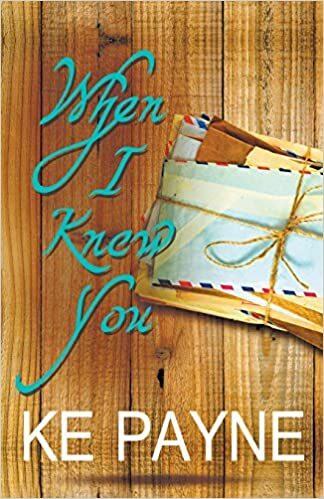 When I Knew You by KE Payne is angst filled roller coaster. When I say angst, let me clarify, this is the ultimate angst fest and it was so good. Ashley “Ash” Wells runs a tourist boat tour in Cornwall (yup in the UK). She never intended to come back to her hometown of London, but the death of her childhood best friend forces her hand. Ash has not returned to London since she fled the city when she was eighteen. Why did she run? Her girlfriend, Natalie Braithwaite broke her heart, and Ash has never recovered. Dr. Natalie “Nat” Braithwaithe is a well respected, highly skilled heart surgeon. You would think she has it all, great career, tons of money, but no. While Nat may look like her would be ideal, she is literally coming apart at the seams. Panic attacks have left her in a constant state of stress and anxiety. Her one regret in life, letting her parents talk her into breaking up with Ash all those years ago. This angst fest was a delight to read. It’s well written, the characters are interesting, and KE Payne really lets the reader feel their pain. These two ladies have one foot in the past and one in the present. Their breakup sixteen years ago has defined their lives in so many ways. So, when their friend that passed on, Livvy, asks them to fulfill her final wishes. They have no choice but to confront each other, no the pain they both carry. Great book, I throughly enjoyed reading Ash and Nat’s journey. I love a good amount of angst in my stories, so this was spot on a fantastic way to spend some downtime. I will say, the angstyness goes way into the book, 80-plus percent. So, if that’s not your thing you may become frustrated. I throughly loved it, but maybe I’m just a weirdo though (no way I’m totally hip & cool).